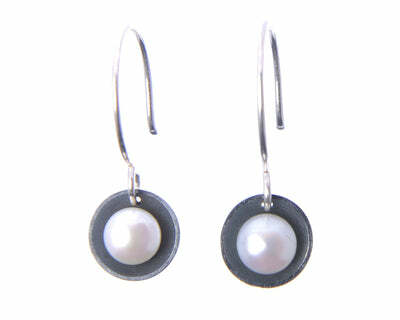 Oxidized silver hoop earrings with a very large pearl set in a silver cup at the top. Hoops with a pearly flare. 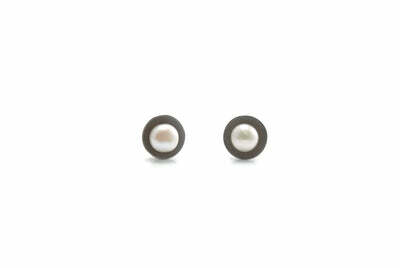 A personal favorite, these earrings are simple, versatile and elegangtly bold. 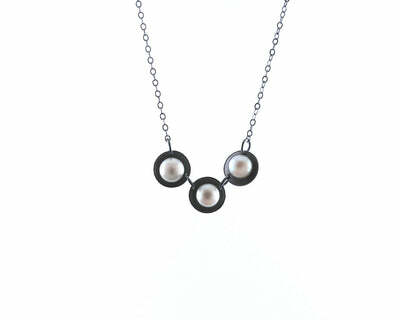 They are all sterling silver with an oxidized finish and the pearl is real. 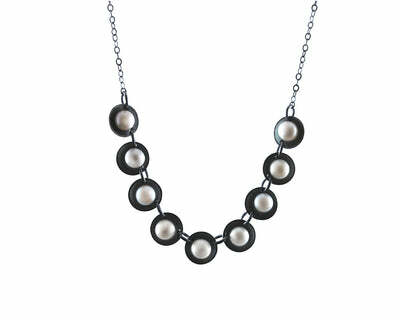 The hoops measure about 2" in diameter but can be made to any size upon request.